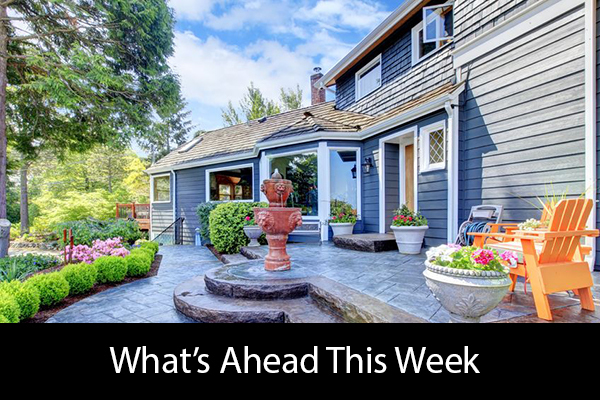 Last week’s economic news included Federal Reserve Chair Jerome Powell and weekly readings on mortgage rates and new jobless claims. Federal Reserve Chair Jerome Powel said in a speech to a group of teachers that the Federal Reserve is paddling against a current of public mistrust of the institution. Mr. Powell assured his audience that the Fed was “working in a non-political way” to support the economy. Mr. Powell said that the Fed was working to earn public trust and said that the Central Bank must be accessible to ordinary Americans and lawmakers. In support of his remarks, Chairman Powell cited three meetings he had with lawmakers and a possible meeting at the White House. Publicity of a recent dinner with President Trump caused speculation that the Fed may be influenced by the administration. Analysts connected last Monday’s White House dinner with the Fed’s sudden reversal of its plan to raise the target range of the federal funds interest rate. Chairman Powell said that he wanted the nation’s prosperity to be widely shared; he cited “education and mobility” as key components of achieving his goal. Freddie Mac reported lower mortgage rates with a decrease of five basis points across the board for the three types of mortgages it tracks. Rates for 30-year fixed rate mortgages averaged 4.41 percent, rates for 15-year fixed rate mortgages averaged 3.84 percent. Rates for 5/1 adjustable rate mortgages averaged 3.91 percent. Last week’s mortgage rates were approximately the same as for a year ago, but analysts said that less buyer competition and more available homes this year would encourage would-be homebuyers into the market. First-time jobless claims were lower than the prior week at 234,000 new claims filed but were higher than the expected reading of 225,000 new claims filed, which was based on the prior week’s reading of 253,000 new claims filed. The reading for the four-week rolling average of new jobless claims gained 4,500 claims for a reading of 224,750 new claims filed over the most recent four weeks. Analysts said that although the four-week average was higher, it remained near historic lows. This week’s scheduled economic news includes readings on inflation, retail sales and consumer sentiment. Weekly readings on mortgage rates and new jobless claims are also scheduled.